Walk among the treetops of Capilano Suspension Bridge Park and test your nerves as you make your way along a narrow 450 feet-long (137 meters) suspended walkway, 230 feet (70 meters) above the Capilano River. The first bridge here was a rickety structure of cedar planks and hemp rope, and was built in 1889 by Scottish civil engineer George Grant Mackay to provide access to his forestland. Since then, the rope has been replaced with steel cables that are strong enough to hold the weight of 1300 average-sized people. Your trek includes the platforms of the Cliffwalk, the park’s newest attraction. This suspended walkway juts out from the granite cliff and takes you through rainforest vegetation offering aerial views of the canyon below. Glass panels have been built into the walkway floor at some of the highest elevations, allowing spectacular views of the tops of trees just inches below. There are more bridges and walkways at the Treetops Adventure attraction that take you from Douglas fir to Douglas fir, with some of these magnificent trees reaching as high as 100 feet (30 meters) above the forest floor. When you’re ready to come down to earth the park has a number of other ground-based attractions. Take a guided tour through the rainforest and learn about the indigenous peoples’ connection with the region at the First Nations Cultural Center. Another interesting attraction is the Totem Park with its collection of colorful story poles. These totems have been here since the 1930s when First Nations people were invited to display them in the grounds near the suspension bridge, and they have been kept in their original condition. There’s plenty of parking at Capilano Park, or catch a shuttle from many hotels and locations throughout Vancouver. 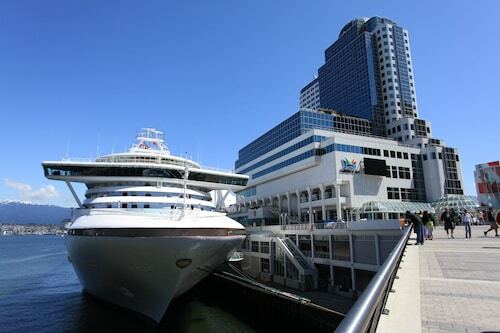 For many more activities, check out our Vancouver things to do page. Located in Greater Vancouver A, this property is within 3 mi (5 km) of Capilano Suspension Bridge, Capilano Mall, and Park Royal. Burrard Inlet and Centennial Theatre are also within 3 mi (5 km). 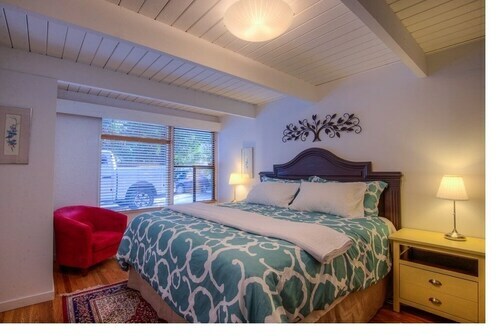 Located in Greater Vancouver A, this romantic bed & breakfast is within a 5-minute walk of Capilano River Regional Park and Capilano Suspension Bridge. Grouse Mountain and Park Royal are also within 6 mi (10 km). Located in Greater Vancouver A, this guesthouse is within 3 mi (5 km) of Capilano Suspension Bridge, Park Royal, and Ambleside Park. Burrard Inlet and Capilano Mall are also within 3 mi (5 km). Situated in District of North Vancouver, this guesthouse is within 3 mi (5 km) of Capilano Suspension Bridge, Capilano Mall, and Park Royal. Centennial Theatre and Cypress Provincial Park are also within 3 mi (5 km). 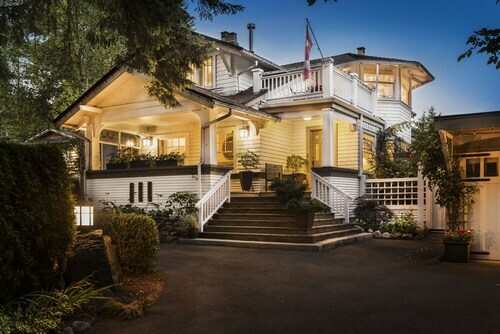 Located in Greater Vancouver A, this vacation home is within 3 mi (5 km) of Capilano Suspension Bridge, Cypress Provincial Park, and Capilano Mall. Park Royal and Centennial Theatre are also within 3 mi (5 km). Located in Greater Vancouver A, this motel is 0.9 mi (1.5 km) from Park Royal and within 3 mi (5 km) of Capilano Suspension Bridge and Stanley Park. Robson Street and Lonsdale Quay Market are also within 3 mi (5 km). 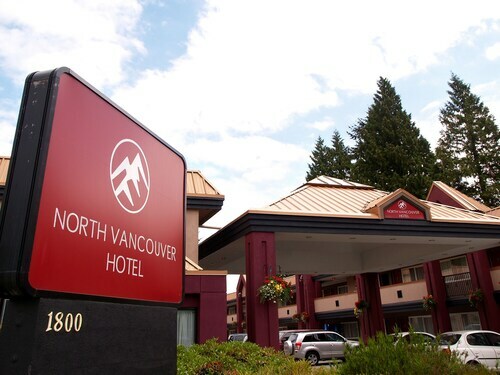 Located in Greater Vancouver A, this hotel is 0.8 mi (1.3 km) from Park Royal and within 3 mi (5 km) of Capilano Suspension Bridge and Stanley Park. Robson Street and Lonsdale Quay Market are also within 3 mi (5 km).